Canada needs better measures for gauging how its post-secondary institutions are performing, write Ken Coates and Douglas Auld in the Globe and Mail. What is missing from the debate is much evidence about how Canada’s postsecondary institutions are doing. It’s not for lack of trying. Institutions and provinces spend a great deal of money evaluating their activities, but they do not always measure the rights things, and they can create perverse incentives for administrators. Across Canada, for example, there has been a great mania for retention, or keeping students in school and paying fees. So schools are rewarded for passing students who otherwise would fail, and to keep weak students around, even if they’re not really suited to university. What is missing from the debate is much evidence about how Canada’s postsecondary institutions are doing. Demands to reform, improve and innovate come from all directions. Parents and students want better classroom instruction and assurance that degrees will lead to meaningful employment. Governments expect better research performance and more efficiency in education and training, but at the same time funding does not keep up with expectations. As for business, The Globe and Mail reported recently that just 41 per cent of executives thought universities were doing a good job of preparing graduates for the work force. “Underwhelming is an understatement. These are bad numbers, they really are,” pollster Charlie Graves said. Provincial governments continue to expand reporting requirements and make vague noises that link funding to political objectives and efforts to diversify their institutions. Certainly our institutions need to be held accountable for the public and private funds that support them. But the current approach is not going to get us where we want to be. Canada lacks a clear commitment to truly high-level educational accomplishment. The focus by the provinces on evaluating higher education has some merit, particularly when it comes to key issues like the general connection between advanced education and training and the world of work. But what we often see is measurement for the sake of measurement. The government of Ontario for example requires colleges, institutes and universities to provide data to measure selected outcomes on admissions, diversity, graduation rates, research funding and the like. Few governments use the information to allocate funds. Canadians deserve greater clarity about institutional performance and the potential benefits to students, governments and employers. Committing millions of dollars of government and institutional resources to measure how long it takes to graduate from college or university, for example, will not do much to improve the quality of an education. Accessible and useful information about employment and income is particularly important. The Education Policy Research Initiative, run by Ross Finnie of the University of Ottawa, operates the most promising initiative in the country in this regard. Canada needs expanded EPRI reporting on graduate career outcomes and would benefit from an equivalent ongoing study on the commercial impact of academic research and training, another national and provincial spending priority that proceeds with little evaluation. Canadians deserve greater clarity about institutional performance and the potential benefits to students, governments and employers. The current focus on institutions absolves students of their responsibilities. Information on how students learn, their commitment to study, the trade-offs between learning and part-time work, and socio-economic data on student family backgrounds would all help to shape a national strategy for higher education improvement. We just need to ask the right questions. The government of Canada and its provincial and territorial partners should identify a small number of crucial elements: graduation rates, career outcomes, personal learning activities, and the commercial and social impact of Canadian research funding and scholarly output. Rich, focused data will address the basic concerns Canadians, their governments and their postsecondary institutions have about the effectiveness of higher education. Canada’s postsecondary system has many positive traits and impressive achievements. It also has flaws and shortcomings. In the absence of a proper process of evaluation, ideally one that is comparable across Canada and internationally, the country is left not really knowing which is which. Let’s not evaluate just so that we can say we are doing it. Let’s evaluate our colleges, institutes and universities in a way that informs students, families and employers, and that gives institutions and governments the tools they need to make programs, campuses and the system more effective. 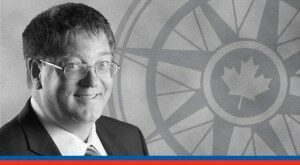 Ken Coates and Douglas Auld are authors of a forthcoming Macdonald-Laurier Institute paper on how Canadian universities, colleges and polytechnics should be evaluated.